DEROIT, Jan. 14, 2015 - The design team of Buick pose for group photo with Buick Avenir Concept in Detroit, the united States. on Jan. 13, 2015. EyesOn Design Awards 2015 was unveiled at the North American International Auto Show (NAIAS) on Tuesday. 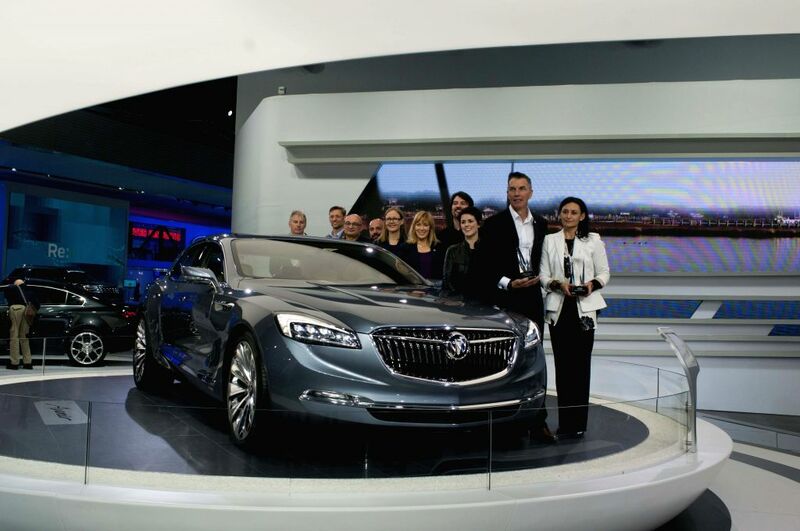 Buick Avenir Concept won the EyesOn Design Awards for "Design Excellence on Best Concept Vehicle" and "Innovative Use of Color, Graphics and Materials".